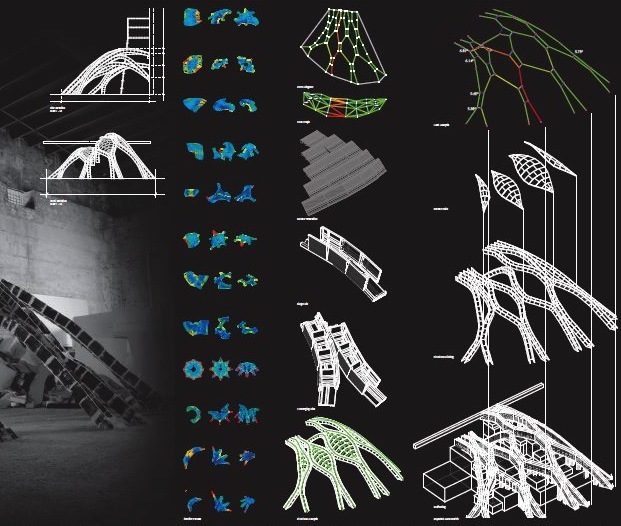 The Ribbed Catalan, a large scale ribbed tile vault, was the result of a collaborative, award winning design/build/research studio involving thirteen students enrolled in the M.Arch. program at the University of Technology Sydney, Australia. The studio was guided by masterclass instructors Dr Philippe Block (ETHZ), Melonie Bayl-Smith (Adjunct Professor, UTS School of Architecture and Director, Bijl Architecture) and Dave Pigram (UTS School of Architecture, and Director, Supermaneouvre). 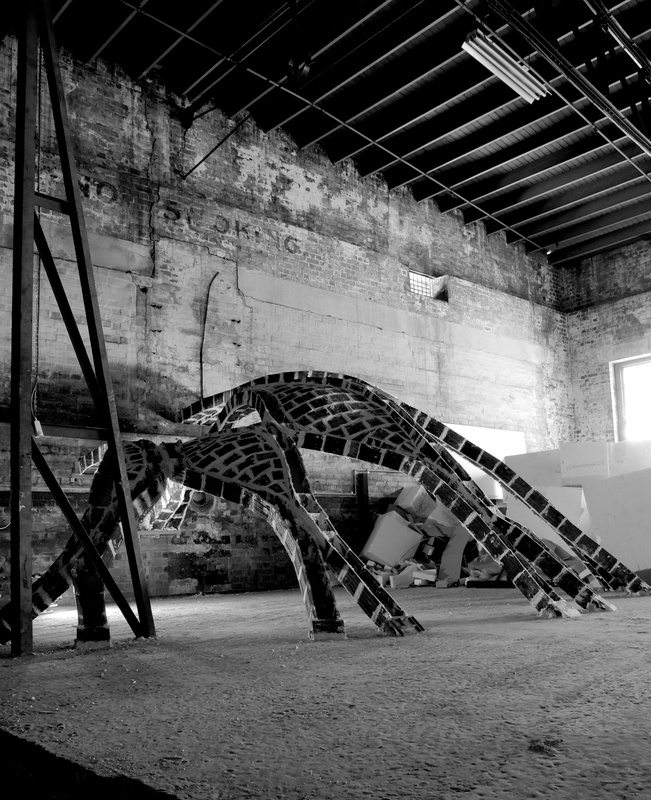 The studio provided an opportunity for the M.Arch. 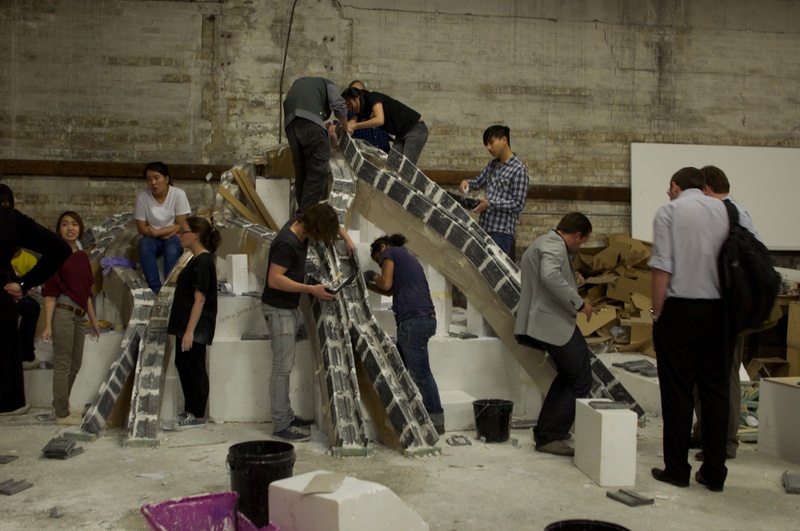 students to undertake an experimental design/build intensive workshop that also straddled the instructors’ intersecting research interests, being masonry vaulting, digital/analogue relationships and innovative teaching. By harnessing these research interests, the studio brief delivered direct, high level learning outcomes through not only the physical process of building, but also via the reflection tasks undertaken at the studio conclusion. Research Question: The ‘Ribbed Catalan’ workshop commenced with an initial exploration of traditional Catalan vaulting techniques and of structural form finding principles. 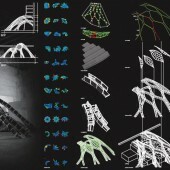 After moving through this preliminary phase, the students were then issued the studio brief, which was to pursue a Catalan masonry vault of novel and geometrically complex design that implemented the use of ‘ribs’ in both the design and intended construction techniques later employed in the building phase of the studio. In answering this brief, the students were given the opportunity to pursue a parallel design and research process, engaging in both digital and analogue technologies and explorations. For this studio the desired built outcome was not only a ribbed Catalan masonry vault, but one that employed novel yet structurally sound geometries, tested utilising the RhinoVAULT (rV) software developed by Block Research Group. Alongside the design process the students experimented with construction techniques, necessitated in part by the use of standardised Australian building materials (in particular, concrete roofing tiles) that performed well beyond their usual application. This experimentation was supported by the instructors’ intersecting research interests, being masonry vaulting, digital/analogue relationships and innovative teaching, allowing a high level of feedback to develop in the prototyping and building processes. 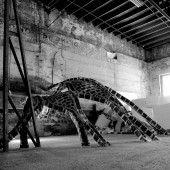 The potential interactions and design outcomes that could lead to this final built form involved the deployment of three key approaches and situations: formal explorations and structural form finding through a direct engagement with the sophisticated digital software interface of RhinoVAULT; inductive hands-on prototyping and testing to quickly and intuitively research the structural capabilities necessary for the tile vaulting construction methods and details; and investigating and trialling a series of construction management processes. These processes included explorations in the forming and construction of false- and guidework, mortar mixing, and setouts. This led to the formation of an understanding as to the manner in which the vault would be both built in accordance with the documented final design, and then tested to failure.